A three-star prospect coming out of high school, Jordan Davis came to Dayton as combo guard with lethal shooting potential. Thrown right into the fire as a freshman, Davis played in 31 games and averaged 29 minutes per contest. 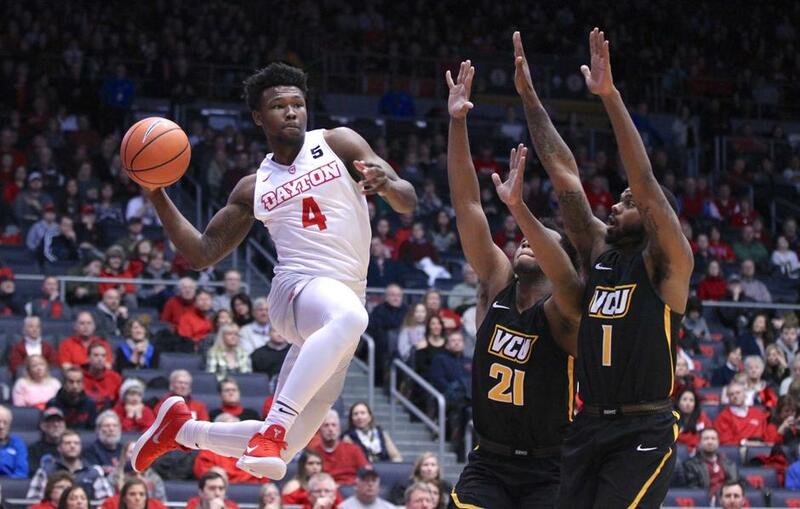 Starting alongside fellow freshman guard Jalen Crutcher, Davis showed promise in his first year as a Flyer. His impressive 39% three point shooting percentage gave fans a reason to believe in the 6’2″ guard’s future. Now in his sophomore season, Davis has experienced a wave of up and downs. After going 2-2 from three in Dayton’s season opener, Davis hit a major shooting slump. Spanning the course of 13 games from November 10th through January 6th, Davis shot just 14-61 (23%) from three. Following a zero point performance against Richmond, many Flyer fans began wondering why Davis remained in the starting lineup. Nevertheless, head coach Anthony Grant did not lose confidence in his sophomore guard. Following the game on December 29th he told me, “Jordan Davis is a guy who can go out and make six or seven threes in a night.” Sure enough, Grant’s confidence in Davis paid off. Down by 22 points in the first half at George Washington, Dayton looked completely out of sorts. Both the offense and defense were struggling to make plays. Then, out of nowhere, Jordan Davis swooped in and stepped up. Shooting 7-11 (64%) from three, scoring 25 points, and snagging three steals, Davis led Dayton to a big comeback win over the Colonials. Just a few days later against UMass, Davis did more of the same. The sophomore guard went 6-8 (75%) from three for 21 total points. After the game Anthony Grant said, “Jordan Davis was outstanding. [He did] what we asked him to do on the defensive end and the productivity he gave us on the offensive end [was tremendous].” Defensively Davis was assigned to guard Luwane Pipkins, one of the A-10’s most prolific scorers. He held Pipkins to just 38% shooting from the field. So what exactly does Jordan Davis bring to the Dayton Flyers? Well if he continues to play like the past two games, the answer is a whole lot. Combining for a total of 46 points and 13-19 (68%) three point shooting in his prior two outings, Davis earned Atlantic 10 Co-Player of the Week honors. Not only can Davis be a lethal shooter from behind the arc, he also has emerged as Dayton’s premier defender. With Jhery Matos sidelined for the remainder of the year due to a foot injury, Davis has been tasked with guarding the opposing team’s best guard. Needless to say he has handled the role superbly, helping Dayton win its last six games. Thriving on both offense and defense, Davis has become a key piece to the Flyers. His ability to shoot the three ball gives defenses another problem to worry about when facing Dayton’s already dynamic offense. Whether opposing teams elect to play man or zone, Davis’ shooting ability will spread defenses out. As a result, this only makes things easier for guys like Josh Cunningham, Obi Toppin, and Jalen Crutcher. If Davis stays hot, Dayton could very well wind up winning the A-10 title this year.